The development of new high temperature and high strength alloys is at the core of enabling efficiencies in the aviation industry. 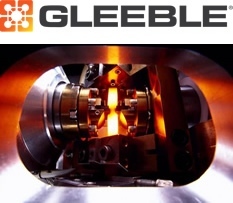 These material advances are enabled through the use of thermal-mechanical simulations, such as Gleeble, which allow the characterization of properties including hot ductility, flow stress and weldability. Lucideon is the only ISO 17025 compliant laboratory in the North America to offer Gleeble testing on a toll basis. Working with our experienced staff can reduce the development and qualification cycles required to move products from R&D into production. Improved product quality - Improve product consistency and quality. Lucideon has the experience to provide not only testing services but also materials engineering consultancy to fully support all aspects of your development program to your specific timeline.